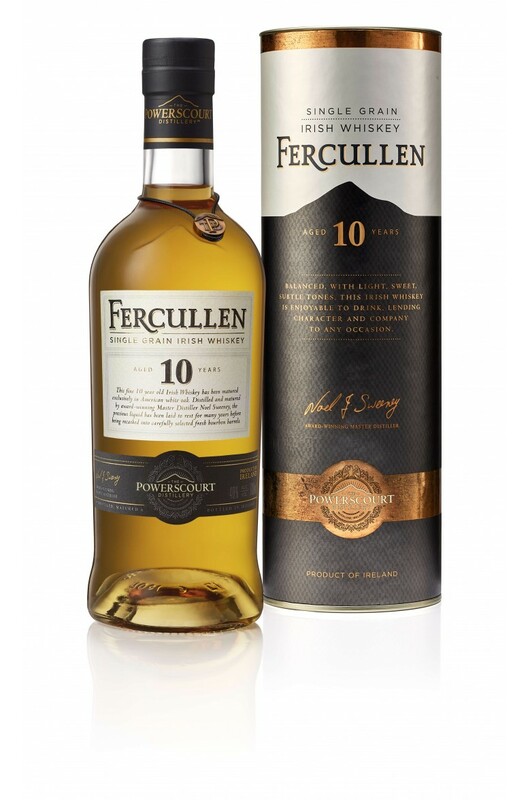 The Fercullen 10 Year Old Single Grain has been matured exclusively aged in carefully selected ex-Bourbon barrels. Flavours of vanilla and orchard fruits dominate the palate. Aromas (without water) Sweet vanilla, citrus, honey, spice, almonds, candy orange and oak. Palate (without water) Smooth, sweet, crisp grain with complex combinations of oak, fruit, and sweetness. Matured exclusively in ex-Bourbon barrels by Master Distiller Noel Sweeney, the Fercullen 14 Year Ol..
One of the three first expressions to be released under the brand name Fercullen from the Powerscour..